The floods have also damaged more than 1,500 schools in the region, according to officials. 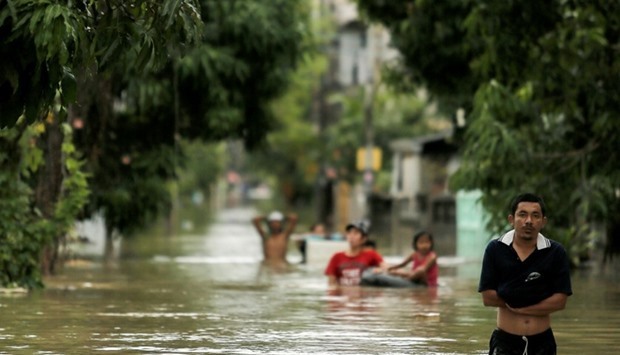 BANGKOK (AFP) – Heavy rains continued to batter Thailand’s flood-ravaged south on Saturday, bringing the death toll up to 12 and leaving thousands of villages partially submerged, authorities said. “The situation is very bad today and tomorrow. It’s still raining heavily,” Junjuda Pornsri, a metrological official, told AFP. 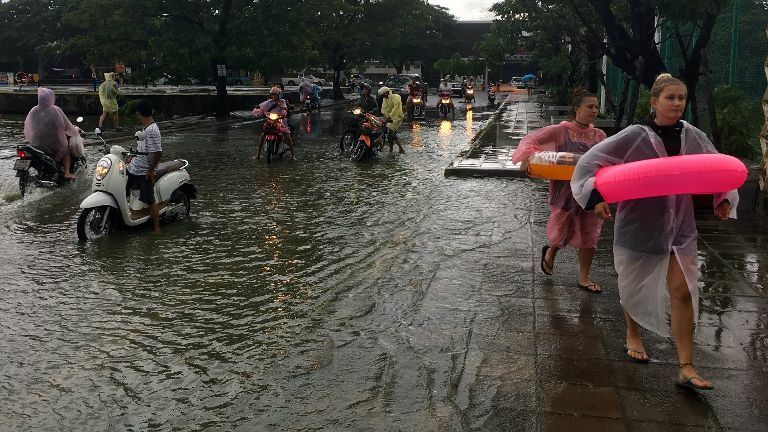 The capital of Nakhon Si Thammarat province, which has shuttered its airport because of the weather, saw a record 162.1 millimetres (6.4 inches) of rain on Friday night, she added. Army bases across the south were mobilised on Saturday to assist flood victims and deliver food to those trapped at home. “There are two helicopters airlifting food and supplies to flood victims who cannot leave their houses,” Colonel Chaisak Pornnipatkul from the Southern Army Headquarters told AFP. The downpour is unusually heavy for this time of year in Thailand, which normally sees a three-month stretch of relatively dry and cool weather from November through to January. It is high season for tourists who flock to the kingdom’s island resorts, powering a crucial sector of the economy. “Some tourists are enjoying the flooding, they’re taking pictures and going swimming,” said Nongyao Jirundorn, a tourism official on Samui island. But by Saturday, the number of evacuees in Kelantan and Terengganu had dropped to about 13,500, from almost 23,000 Wednesday, as weather conditions improved and authorities forecast less rainfall over the weekend. Prime Minister Najib Razak visited Kelantan on Saturday and met with people seeking shelter at a relief centre.